Awesome indoor water table sensory play is at your fingertips! When the weather gets too cold for all the great outdoor sensory play you have been doing, don’t pack your water table up for the season just yet! There is plenty of sensory play that can be had with your water table if you bring it inside! I know you are thinking all about the mess and the reason why the water table was meant for the great outdoors! I am here to show you, you might just be wrong! I specifically chose these awesome indoor water table ideas, as well as a couple of our own, to show you that others have braved the mess and brought their water table inside. You will find small worlds, science experiments, and learning ideas with your newly repurposed indoor water table! I highly encourage you to read all about Tactile Sensory Play with our new resource guide! Lots of tips and ideas for all kinds of sensory play that you can easily recreate in your repurposed water table! Read all about the greatest form of hands-on play for young children, tactile sensory play. Handling the Mess! What Should I do? Teach respect for a sensory bin as you would a toy. You would not expect your child to throw a puzzle all around the room would you? Teach clean up skills as part of the sensory bin play! 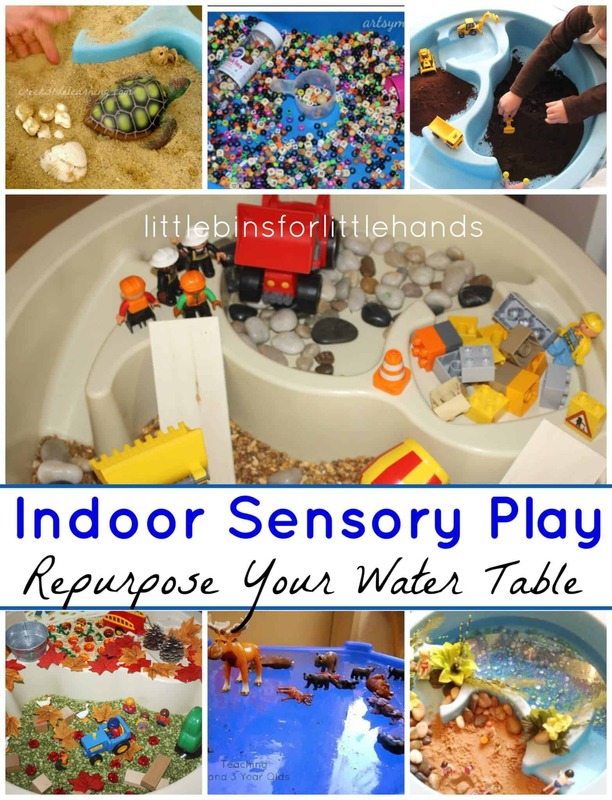 Repurposed Indoor Water Tables Sensory Play Ideas To Try! 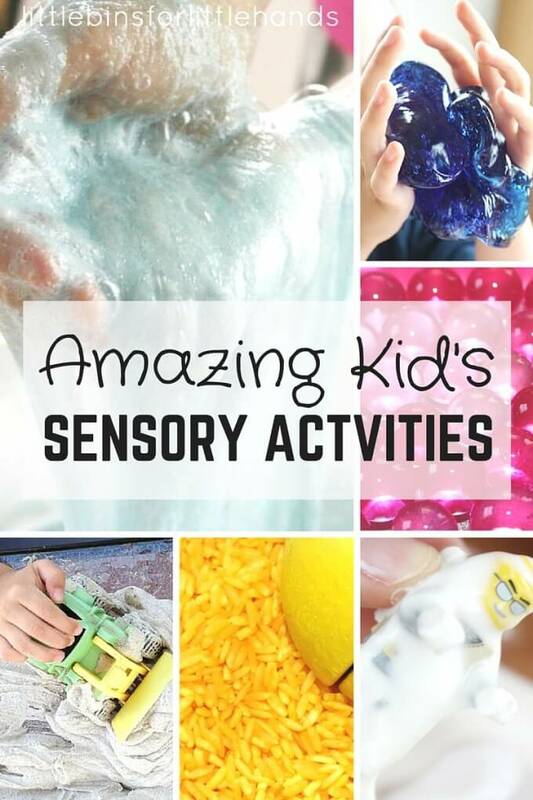 There are some pretty cool sensory play ideas here! You can do just about anything you want with a repurposed water table! I love how the sections create unique play areas! I love to use what I have a around the house to come up with new ideas which makes this a super frugal idea as well. Not cold enough where you are? Bring it in for rainy day play or when the weather gets too hot. No matter what season you are in or what your climate is like, an indoor water table will definitely be a hit! Thanks so much for including our Science and Beads posts 🙂 Awesome list! Great idea, so glad I found it!